Modern style queen room with ensuite, TV, Tea/Coffee, kitchenette, free Wifi. Ground floor with undercover parking. Modern style queen room with ensuite, TV, Tea/Coffee, kitchenette. Disable accessible friendly. Ground floor with undercover parking. comfortable queen room with ensuite, TV, Tea/Coffee, free Wifi. Ground floor. Off street parking. Dog friendly queen room with ensuite, TV, Tea/Coffee, free Wifi. Grond floor. Off street parking. Security deposit apply. Spacious queen room with ensuite, TV, Tea/Coffee, free Wifi. Ground floor with undercover parking. Affordable accommodation. Queen bed with ensuite, TV, Tea/Coffee, free Wifi. First floor (stairs). Off street parking. Modern room with ensuite consisting of 1 x queen bed in main room and a separate bedroom with 1 queen bed & 1 x king single bed, TV, Tea/Coffee, kitchenette, free Wifi. Ground floor with undercover parking. Price is for 4 people (extra person - $15 adult, $5 children 3-12 yrs). 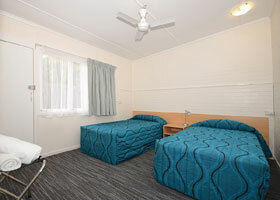 Comfortable room with ensuite consisting of 1 x queen bed and 2 x single beds, TV, Tea/Coffee, free Wifi. Ground floor. Off street parking. Price is for 4 people. Comfortable room with ensuite consisting of 1 x queen bed and 2 x single beds, TV, Tea/Coffee, free Wifi. Ground floor with undercover parking. Price is for 4 people. 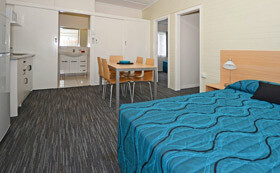 Affordable room with ensuite consisting of 1 x queen bed and 2 x single beds, TV, Tea/Coffee, free Wifi. First floor (stairs). Off street parking. Price is for 4 people. Dog friendly room with ensuite consisting of 1 x queen bed and 2 x single beds, TV, Tea/Coffee, free Wifi. Ground floor. Off street parking. Price is for 4 people. Security deposit apply. 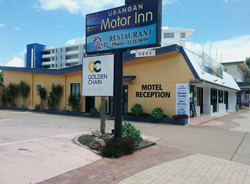 Modern unit with ensuite consisting of 1 x queen bed in main room, a second room with 1 x queen bed and a third room with 2 x single beds, TV, Tea/Coffee, kitchenette, free Wifi. Ground floor with undercover parking. Price is for 4 people (extra person - $15 adult, $5 children 3-12 yrs).